Thank you for visiting the Pray for Japan documentary film Kickstarter page! Together we can not only honor the incredible real-life heroes of the Tohoku Tragedy, but build a movement that assures their efforts will never go forgotten. I hope the info here is useful for everyone – please feel free to ask questions here or at FACEBOOK - and don’t forget to “like” the page! Oh, and we're on TWITTER too! 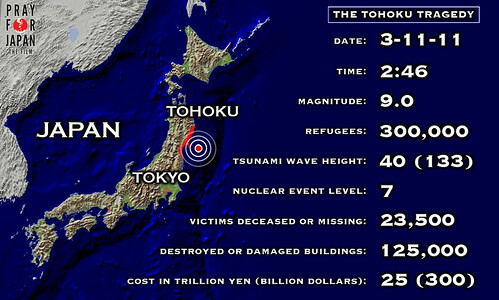 Isn't the Japan earthquake + tsunami old news? 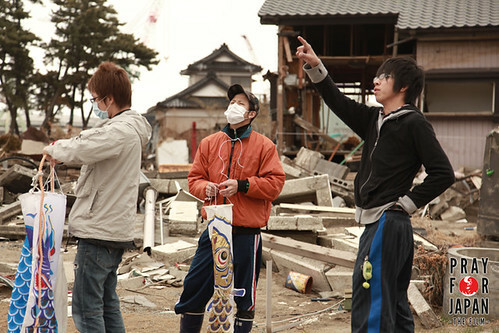 Everyone knows about the tremendous devastation caused by the Tohoku earthquake and tsunami tragedy. You saw it on the news and online. But just because the media has moved on to the next hot topic, that doesn’t mean the immense challenge facing Japan is now behind them. There are still 90,000 people living in shelters, 650,000 people are estimated to have lost their livelihoods, and entire villages and neighborhoods have been destroyed. There is still tremendous work to be done! What's the goal of this documentary film project? Losing loved ones cuts emotional scars which run deep. I believe we can help heal these wounds by paying tribute to the amazing resilience and quiet spirit of the many victims and volunteers of Tohoku. By letting them know we admire and respect them, we encourage them to continue the good fight – at a time when even the strongest warriors would grow weary. We also gain insight into how our own inner strength can help us if we ever find ourselves in a life-threatening situation. I believe we can all learn from these incredible heroes. What's the documentary film about? 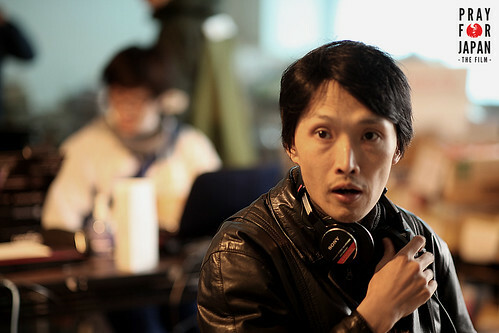 The film itself focuses on Ishinomaki, Miyagi – the largest coastal city in Tohoku with a population of over 160,000 people. 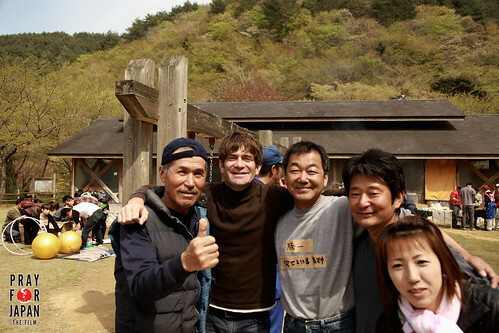 I filmed the tsunami aftermath over a period of 5 weeks, soon after my first couple of trips to Miyagi as a volunteer. Having experienced the earthquake itself in Tokyo, I exchanged knowing glances with the locals each time we felt an aftershock. 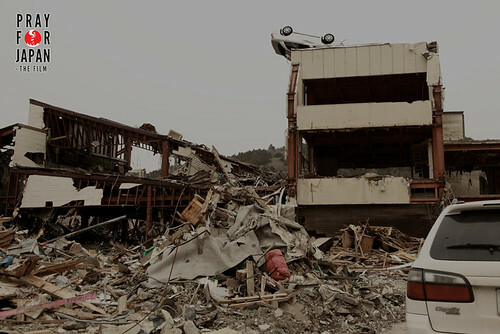 But driving around the devastation caused by the tsunami was an entirely different experience. It truly felt like a war zone. I shot over 40 hours of footage with my Canon 5D – just me and one guy on audio (Waki-san for the first 3 weeks until he had to return to Tokyo, then Uji-kun, a local student I met in Ishinomaki). 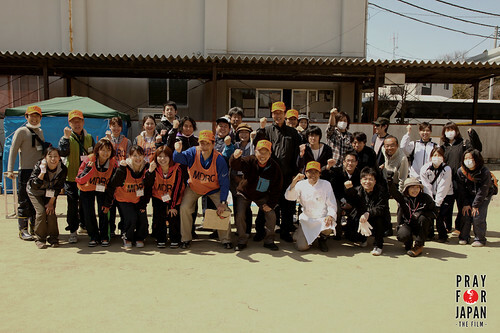 While we visited many shelters and damaged areas, the film focuses on the efforts of local volunteers and non-profits like Network Miyagi and JEN as they work with the victims of the Minato Shogakkou shelter and Ogatsu Junior High School. The film’s theme of vitality and hope is represented visually by the powerful symbol of the koi-nobori, the blue kite-like fish flying in the final shot of our video. On May 5, kodomo-no-hi (children’s day), 18-year-old Kent Ito led a memorial service for his 5-year-old little brother Ritsu-kun, proudly raising over 200 blue koi-nobori donated from across Japan. Some of the money will go into finishing the post-production – color grading, sound mixing, and animation. The rest will go into marketing. The plan is to get this documentary film in front of as many people worldwide as possible. To do this, one crucial method is film festivals. Each film festival costs money - if we submit to hundreds of festivals that in itself requires a hefty marketing budget. Other marketing efforts such as Facebook ads, in addition to the grass roots social media effort, will be needed to get the word out to as many people as possible. If we can raise beyond the funding goal, we can work on Phase 2: making all of the raw footage available for free on the Internet under a Creative Commons license. 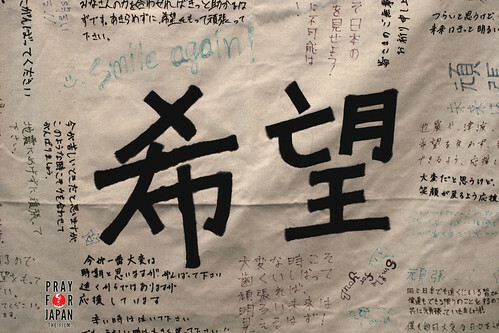 希望 - on the sign below - means "hope", the most critical of all human emotions. This film is only possible because of an amazing group of volunteers and supporters – please watch the “special thanks” video below to honor them.